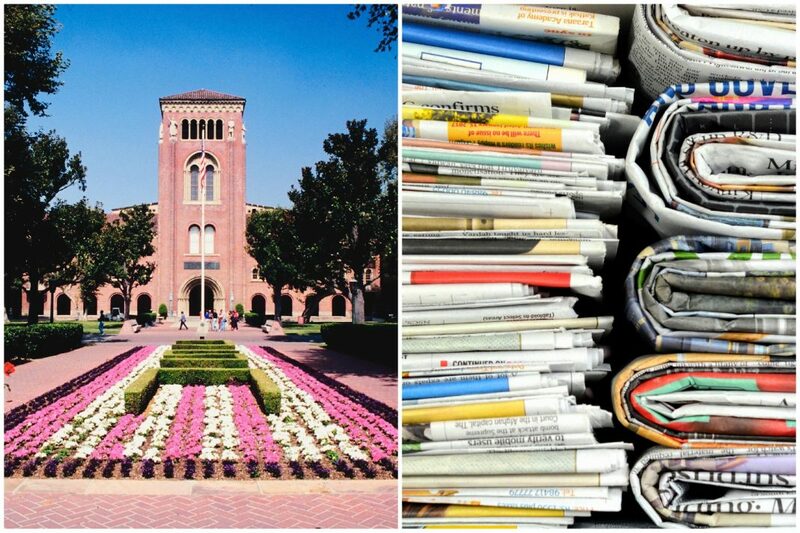 You’d think the student journalists at USC’s Daily Trojan would’ve spun into action when news broke that their school was at the epicenter of a national college bribery scandal. But it was Spring Break and many were out of state—or even the country. Allen Pham, the paper’s editor-in-chief, told me via email that he couldn’t chat because he wasn’t in the U.S. The only two staff members actually on campus when the scandal broke (out of a total of 27) were Mia Speier, the news assignment editor, and news editor Andrea Klick. Neither was terribly interested in chatting with a reporter. “I am unable to give my personal opinion or thoughts on the situation, but I am able to discuss the Daily Trojan‘s coverage of the situation if you would like,” Speier wrote via email. Klick was only willing to talk about her journalistic process, too. They haven’t been able to get any off-the-cuff comments from administration officials but insisted they weren’t being shut out either. “It’s not that they’re not being transparent, it’s just that every single news source in the country has been sending our media relations people emails and requests, so it does slow their flow,” says Speier. Yesterday morning, after the #CollegeAdmissionScam broke I was absolutely dreading having to cover the story. As a student journalist @USC it gets tiring having to devote all of your time and energy to breaking scandals and crazy stories. But today, I'm feeling incredibly proud. This is, of course, only the latest public embarrassment that USC’s student newspaper has had to cover over the last few years, including (deep breath) a campus gynecologist accused by students of inappropriate behavior that stretched back decades, a medical school dean who partied with criminals and did illegal drugs, and a former assistant basketball coach who pleaded guilty to accepting bribes from a sports management firm. “It’s been tiring,” Speier recently admitted to her Twitter followers. I wondered how they felt about the media’s portrayal of the scandal—particularly the L.A. Times’ coverage of student reactions. I mentioned a professor I knew at USC who was posting a lot about the scandal. Had they reached out to any they knew for comment? I asked again why they were being so guarded about their opinions. Weren’t journalists are allowed to be people, too? Were they scared about compromising future access?